Well the answers to those skate owner questions are as easy as going to the shop to buy some milk and bread. We will start by answering the question on when you have to clean your bearings. 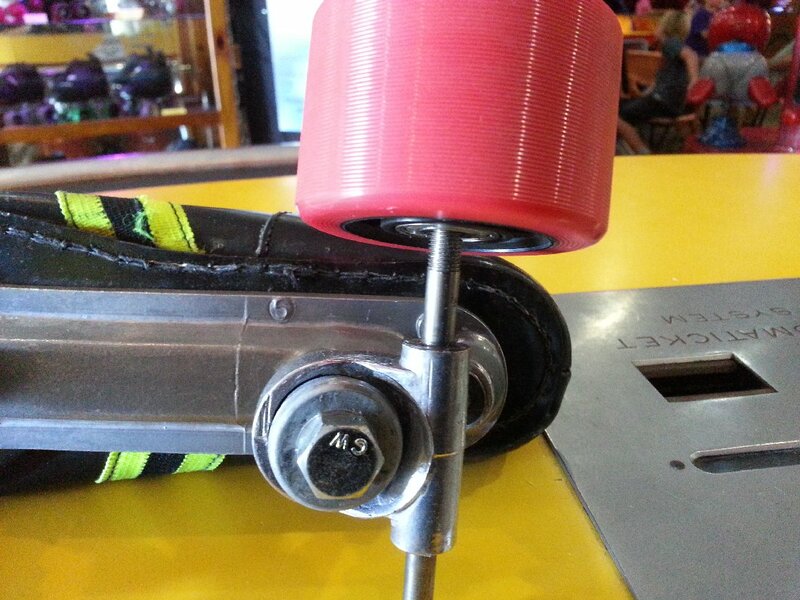 It’s just math, the more you skate the more your bearings will get dirt that will grind into them. Mostly due to the fact that the wheels spin at a certain rate and that motion creates static electricity. Static electricity has the particularity of attracting dust particles which you guessed it, go toward the axles of your skates. This is why when you have been skating you will notice a lot of dust, hair pieces and other dirt particles around your bearings. Some of that dirt and gunk has the nasty habit to even find a way into your bearings. Now as I said earlier it all depends how many times, or hours you are skating to answer this question. As a rule of thumb I say that your bearings should be cleaned at least twice a year. But then how many hours have you been skating? As for me I skate an average of 10 – 15 hours a week. I clean my bearings every 40 to 50 hours, which means once a month. I would suggest you do take that as a base : Every 40 to 50 hours of skating on a proper rink. Now if you are skating outside or on foot path, divide that by two. You will be amazed how much dirt your bearings will have taken in during that short time. 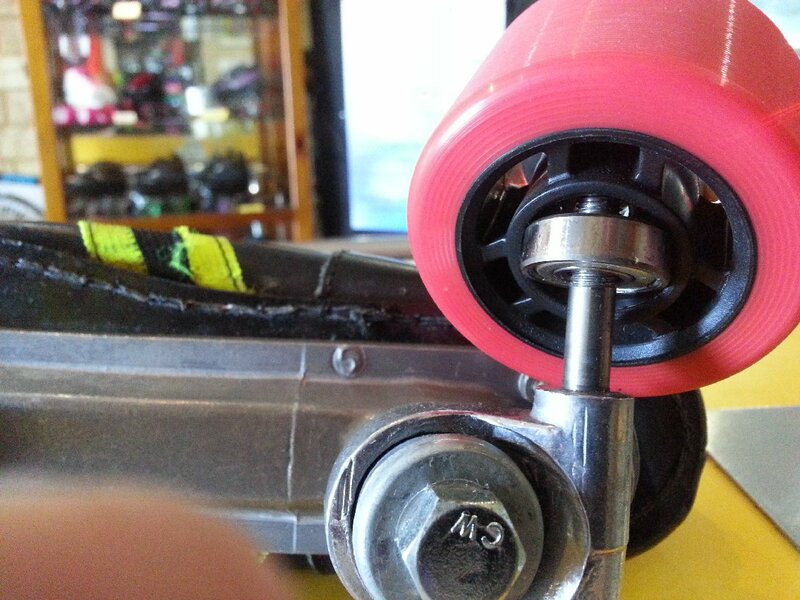 How do I clean my skate bearings? One small funnel ( not too small though ). Some clean pieces of cloth. A small bottle of Sewing Machine Oil. Ok now you are set to start cleaning your skate bearings. Step 1) Start by taking your wheels off your skates or blades. Step 3) Now start removing the bearings from your wheels. Easier said than done you say. No not really. Here is a trade secret. 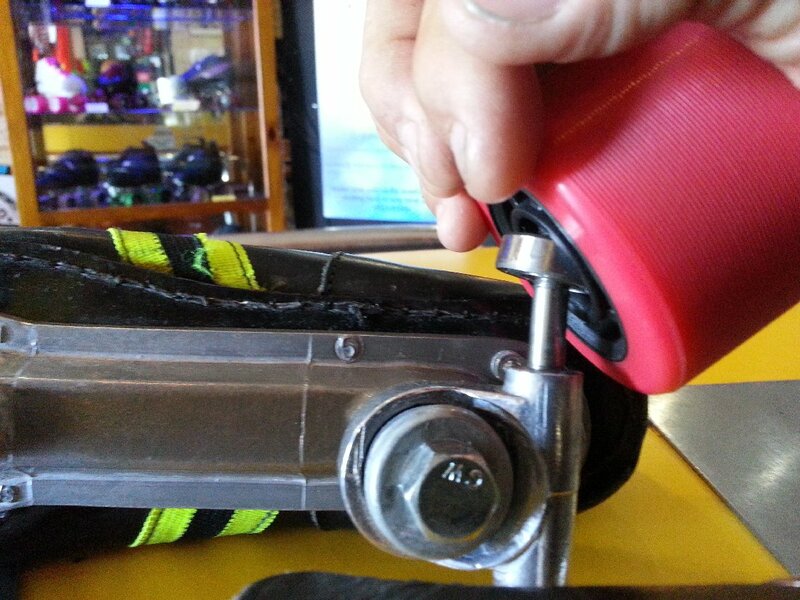 Either use a Philip screw driver ( for the roller blades ) or one of the axle of the skates to just do that. Now place the bearing to be pulled out of the wheel on the axle so that it is just a little half way in (See the first photo below). Now by using the wheel as a lever you should be able to get each and every bearing out this way (see the two last photos below). Step 4) Once you have taken out all bearings, give them a quick wipe over with one of the cloth. Place them into one of the Gatorade bottles. Now pour in enough Kerosene so to cover the bearings ( with about 2 cm of Kerosene above the bearings ). Step 5) Now close the bottle and start shaking it for about a minute. Then leave it a little moment then start shaking the bottle for another minute or so. Step 6) Take the small funnel and place into the other Gatorade bottle and empty the bearing and Kerosene into the funnel. Step 7) Repeat step 4 to 6 until the Kerosene is more or less clear after you have finished step 5. Step 8) Leave Bearing into the funnel for 30 minutes or so. Then place all the bearings with one of their faces down onto a clean piece of cloth. Leave them for another 30 minutes or so. Step 9) Now take the bottle of sewing machine oil and apply a couple drops of oil onto the face up of each bearing. Step 10) Take each bearing and by placing your index finger on one side of the centre hole and the thumb on the other side of it give the bearing a couple gentle turn. This is to make sure the oil lubricates the bearing in its whole inside. Step 11) Put the bearings back into the wheels and you are done.